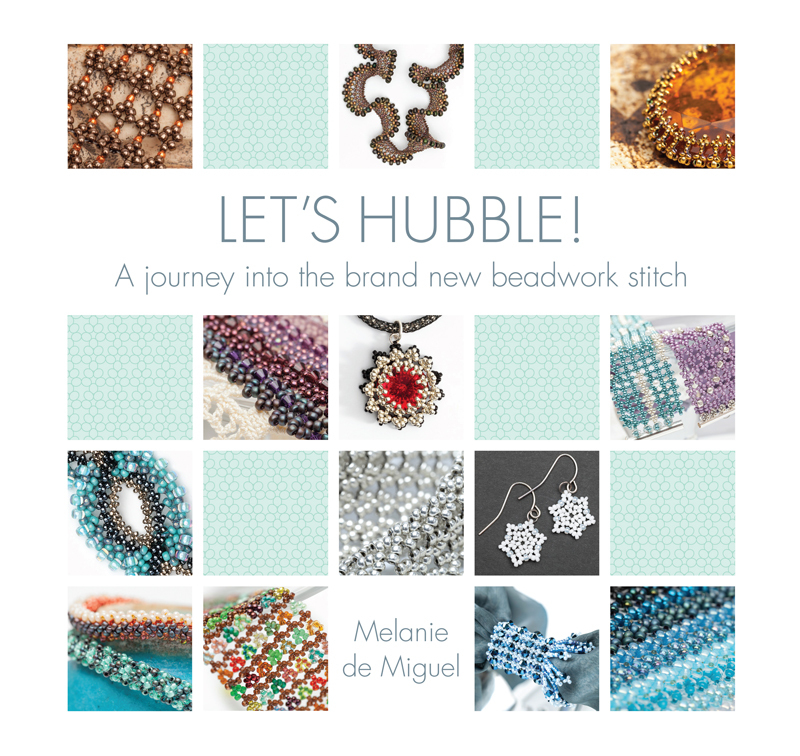 I have known Melanie de Miguel for a few years and known her beautiful beadwork for even longer, so it seemed surprising to me that ‘Let’s Hubble’ is her first beading book. 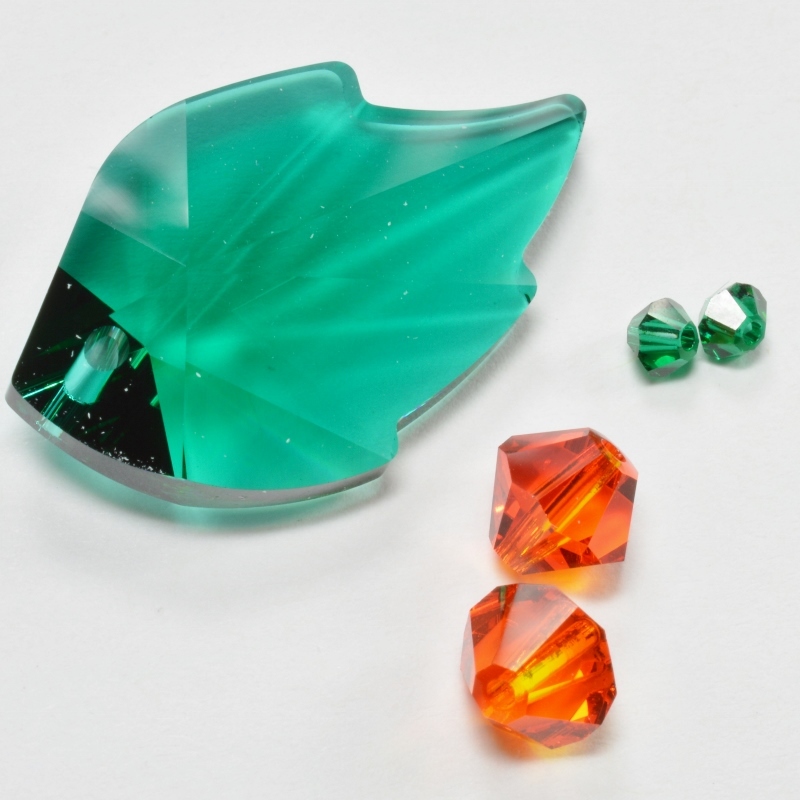 Melanie is a very popular teacher, well-known for her exquisite and intricate beading designs. 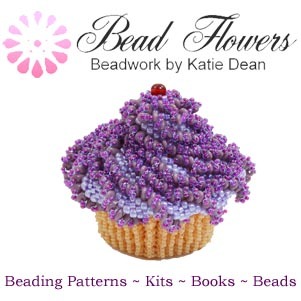 She is one of the few beaders I know who absolutely adores working in size 15 beads, or even smaller if she can! 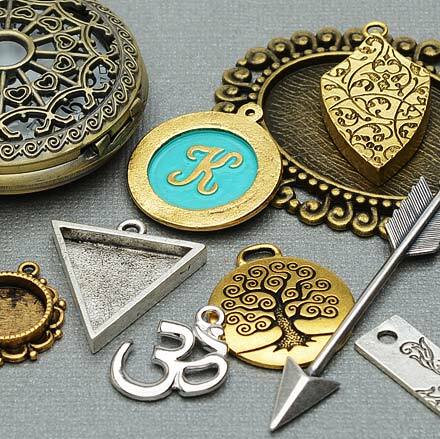 She will often combine these with Swarovski crystals and her style is frequently inspired by historic architectural themes and designs. So it was a great pleasure when I received my copy of ‘Let’s Hubble’. I couldn’t wait to get my hands on the book and start trying this new stitch. It’s not that often that a genuinely new stitch is introduced to the beading world, but Hubble stitch is just that. It looks elegant and lacy and feels flexible in texture. ‘Let’s Hubble’ introduces the basic flat version of the stitch, with some variations that allow for adding interest in both a vertical and a horizontal plane. 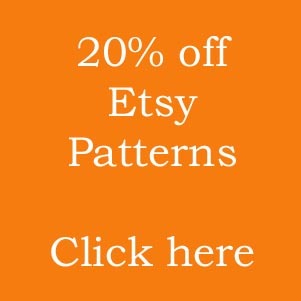 You will then learn how to create circles and finally, how to invert the stitch. This may all sound very complicated, but ‘Let’s Hubble’ is written in such a clear style that it took no effort at all to grasp the basics and start running up a Hubble stitch bracelet. 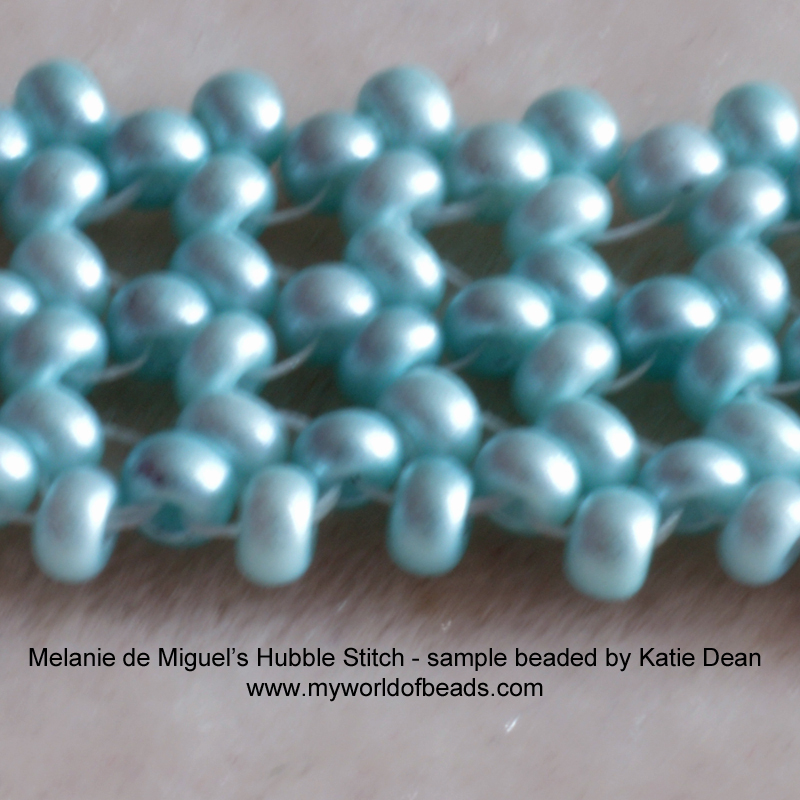 Hubble stitch is a little like a combination of a few established beading techniques. It has elements of Herringbone and a slight feel of Right Angle Weave, but without the brain-teasing thread path of the latter stitch (which I’m sure will come as a relief to many!). Although it sounds complicated, Melanie’s instructions are so clear and described with some great analogies, so I found this very easy to pick up and it is a stitch that flows beautifully once you get started. 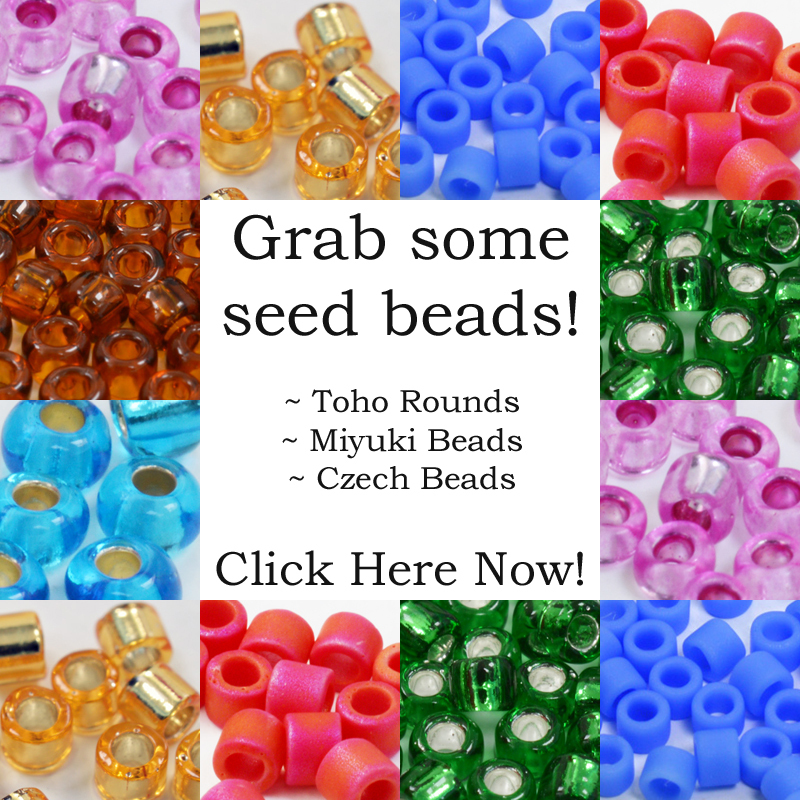 I can already see the potential for mixing in different bead types and experimenting with structures. ‘Let’s Hubble’ promises that there is more to come from Melanie, with plenty of more advanced variations with which she has been experimenting. If you have ever taken a class with her, then you will be familiar with her passion, patience and ability to explain things so clearly. All of this comes through in her writing, so reading ‘Let’s Hubble’ really feels like you are taking your own personal class with Melanie. Just as the content has been well thought through, so has the presentation. This book is spiral bound, so it is very easy to prop open to follow the instructions while you work. Whatever level of experience you have, I can definitely recommend you buy a copy of ‘Let’s Hubble’ and enjoy learning all that this new stitch has to offer. I know I’m looking forward to experimenting with it further! i would love to purchase a copy of your Let’s Hubble book. I am in Florida in the USA. Please let me know how or where to buy it. Thank you. You should be able to buy it on Amazon, but if that’s causing problems as you are in the US, I would suggest you contact Melanie direct to check which US outlets are selling the book. You should be able to contact her through the book’s page here: https://www.facebook.com/HubbleStitch?fref=ts. I hope that helps and I definitely recommend the book – it’s lovely!